Chic and stylish, this pair of stud earrings make for the perfect finishing touch to your everyday wardrobe. A sleek silver round design presents a luxurious raised 9ct rose gold heart centrepiece. 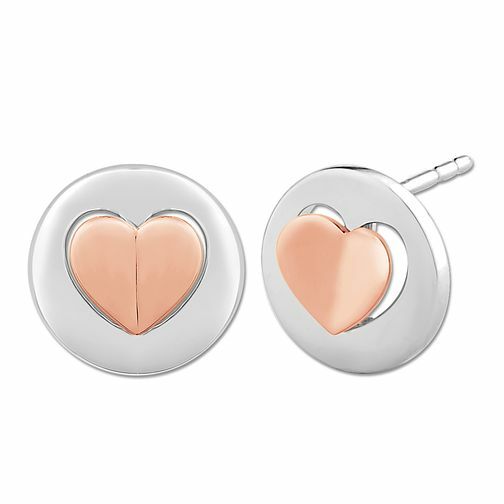 Cute and classic, these earrings make for a perfect sentimental gift to a loved one.